​Protect your loved ones this snake season. These solar repellers emit a sonic pulse, every 50 seconds, in a 30 metre diameter. The only way to protect your family and pets. Even when you are hunting, camping or fishing, you can take these with you and set them up in the camp site for protection. Two repellers in a box. This is our 7th season selling this product line and can provide expert advice on how to strategically place the repellers to optimize their use. THE SNAKE REPELLERS NEED TO BE INSTALLED CORRECTLY IN ORDER TO WORK!!! Repellers available for purchase at our store or we can post to you. 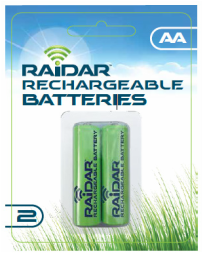 Rechargeable batteries to suit Raidar rechargeable solar products. 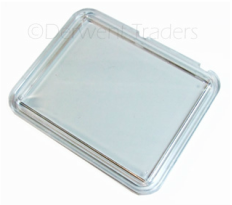 Replacement plastic solar panel cover. Suits all Snake Defence repeller models. Supplied with 'O' ring.